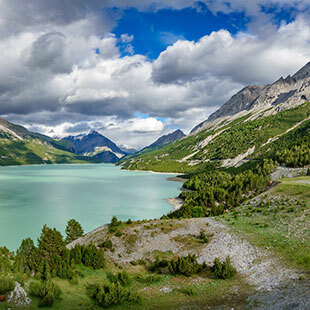 Standing at the crossroads between the most famous Alpine passes, Bormio is located in the Stelvio National Park at 1225 metres, and has a millenary history that ties it to that of the neighbouring municipalities, such as Valdidentro, Valdisotto and Valfurla. And for road bike fans, it’s right here that the roads leading to the most important crossings start, made famous by the Giro d’Italia. We’re not only talking about Stelvio, but also Gavia and Mortirolo. 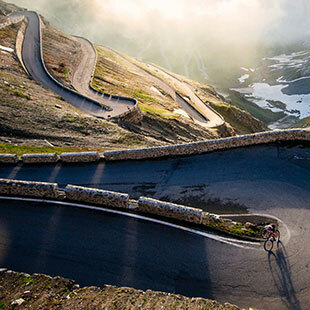 These unforgettable peaks are a must, which annually render the Giro d’Italia compelling beyond words. 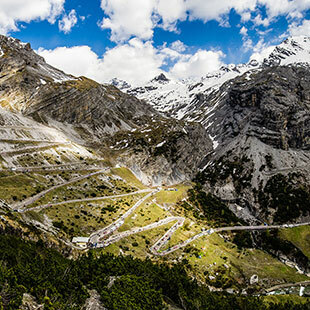 Every year the most famous stage race in the world passes through at least one of these legendary climbs, which are marvellous not for their level of difficulty, but for the Alpine passes they traverse, for the roads perched on the edge of a precipice, for the daring research needed to carve out a road where logic would advise against it. It’s not by chance, then, that this land is referred to as the Magnificent Land, thanks also to its renowned thermal baths. 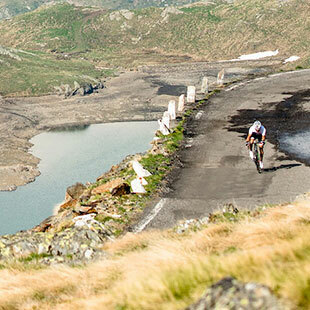 All the ingredients for a road bike holiday are present; all you have to do is get moving. 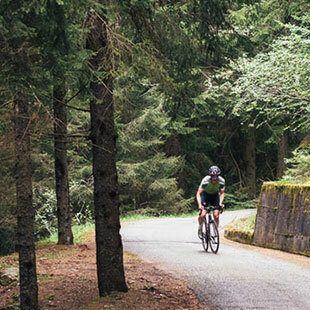 The area of Alta Valtellina is a veritable fairground of opportunities for cyclists like you who love fat tyres, and who are looking for extreme challenges or simply want to ride in peace. A mtb holiday here means being at one with nature and the landscape, pursuing the scent of the meadows and the rush of high speed descents. But that’s not all, it also means knowing how to get a thrill out of every whip, every steep and bumpy trail, at every mule track or every rhythmic surge. Pizzoccheri are a characteristic Valtellinese first course, that is, tagliatelle made from two thirds buckwheat flour and a third wheat flour, seasoned with cheese, potatoes, cabbage and lots of butter. Sciatt are buckwheat fritters filled with warm, stringy cheese. The dish is generally served as an appetizer that in dialect means “toad”. 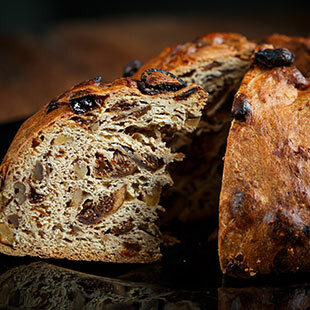 Bisciola, a characteristic Valtellinese dessert, is also called Pan di fich or Panettone Valtellinese, and is made with pine kernels, raisins, dried figs, butter, eggs and, in some recipes, also honey. It’s a very rich dessert and typically served at Christmas. 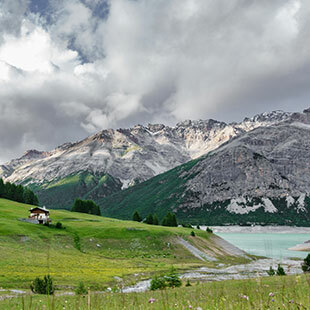 Located in a large, bright basin, the city of Bormio is surrounded by mountains that form a limestone and dolomite barrier, whose most significant peak is the Reit (3,075 m). This basin has been excavated over the centuries by glaciers and watercourses. Four valleys converge here: Valdidentro, Valfurva, Valle del Braulio and Valdisotto. It’s famous in the world for its thermal baths, renowned since ancient Roman times. There are three of them: Terme di Bormio and the two establishments at Bagni Nuovi and Bagni Vecchi.